The most you can ask from a slip-on system. 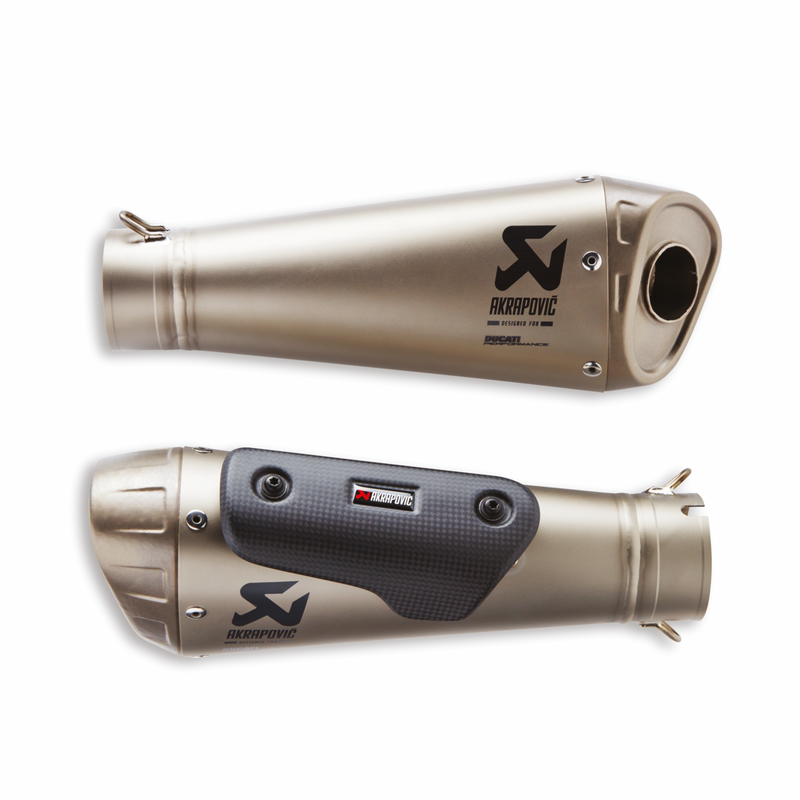 Akrapovič's attention to detail is evident in the design. 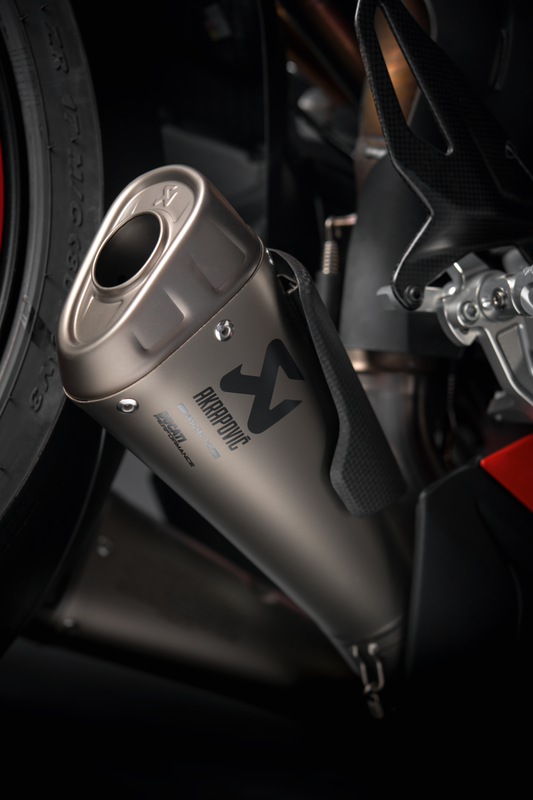 The fully titanium exhaust developed in partnership with Ducati Corse boosts Panigale V4's roar. An investment in terms of torque and power unleashed, also guaranteeing a reduction in weight compared to the standard exhaust. To meet the specific requirements of the track, it is equipped with dedicated engine mapping. Produced in collaboration with Akrapovič. Match part no. 96481631A with part numbers 96481391A, 96481391B to keep noise within the limits set to 107 dB, for use on track. To be mounted in association with part no. 97180652AA (V4, V4S), 97180652AB (V4R), 97180653AB (V4R), 97180652AC (V4S CORSE), 97180653AC (V4S CORSE). To be mounted together with part no. 97180652AB, 97180653AB on V4R.